Now that we are well into July, I can report that June was a very busy month. A presentation on June 13th at the Saturday Morning at the Law School series was well attended and there were many good questions asked by the approximately 50 attendees. This was my first “public” presentation and confirmed my belief that people have a desire to learn about the oil and gas industry but they need to learn about it in everyday, layman terms. As a result of a question at the presentation at the Law School, both of my books, Mineral Land Rights – What You Need to Know and Upstream – Oil and Gas Exploration and Production, have been added to the collection of the Calgary Public Library. Readers will be able to check out my books at the library and if they find them interesting and useful, they can order their own copy through Amazon, Indigo/Chapters or Barnes and Noble. I will be reaching out to other libraries to see if they are interested in adding my books to their collections. Both books are a good introduction to the oil and gas industry in general for both Canadians and new immigrants. I learned that a professor at the University of Calgary Faculty of Law and an instructor at Olds College will be using Mineral Land Rights – What You Need to Know in their introductory courses. Olds College is also considering using my second book as a resource in one of their courses. June 23rd saw the official launch of my second oil and gas book, Upstream – Oil and Gas Exploration and Production, at the Calgary Petroleum Club. The audience for this book includes the individual who wants a simple overview of the oil and gas industry and the industry professional who wants to learn about the exploration and production side of the business. Thank you to everyone who attended the celebration. Here are a couple of photos from my launch. 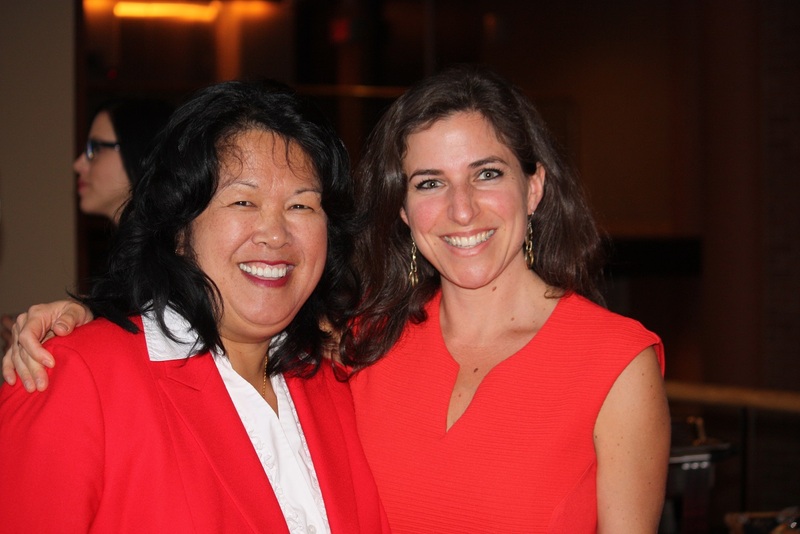 Three generations celebrating at my book launch: my daughter, Megan Mah and my mom, Myrna Louie. Levonne with Jonas L. Albeck, R., Retired Landman and Consul of Denmark, Emeritus. Jonas is a long time industry colleague. I am excited to report that my books have been sold in Great Britain – they are now international! Besides Europe, I am hopeful that companies in Asian countries looking to enter the oil and gas industry in North America will find the books as a good introduction. All the activities in June reinforced my belief that there is a desire for knowledge about the oil and gas industry and that we need to share the information in simple, easy to understand words. Those of us that are in the industry tend to forget that we often speak in jargon that is specific to the industry and sometimes, to our different professions within the industry. If we can learn to express ourselves in clear, simple language, this may result in better communication within our industry and with others that are outside our industry. We may not always agree with the other person’s point of view but at least we would better understand why they have chosen a certain belief. A common understanding would hopefully lead to some common goals that could be worked on together. If you haven’t checked out my books yet, I invite you to go to my website, www.levonnelouie.com to find out more information. If you are part of a group that would be interested in learning about the industry in a presentation that uses simple to understand terms, please contact me to discuss your needs. 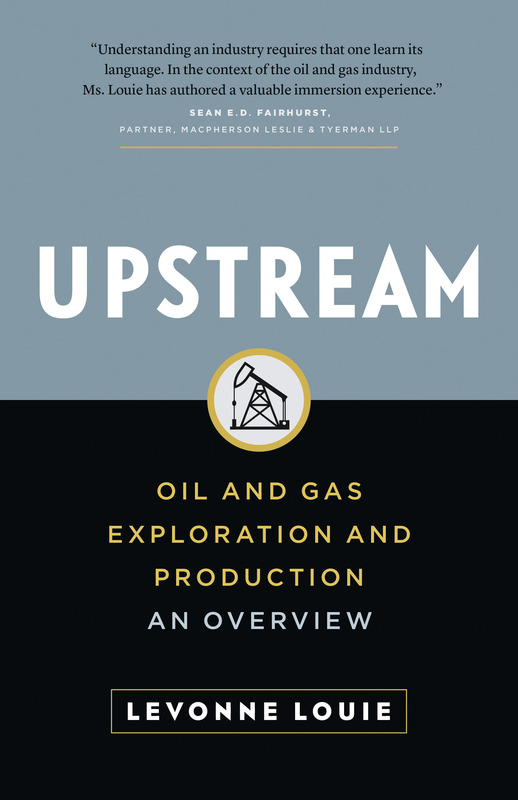 I am excited to announce that my second book, Upstream: Oil and Gas Exploration and Production: An Overview has been released. In this book, I simplify and demystify the exploration and production phases of the oil and gas industry, known as the upstream part of the business. Upstream moves from how geologists decide where to focus their exploration efforts, to the acquisition of mineral and surface rights, to how production of oil and gas occurs to the impact of global factors on the industry. Upstream is available on the websites of Amazon, Indigo and Barnes and Nobel or by going to the Books tab on my website, www.levonnelouie.com. In his conclusion he states: “…students cannot adequately understand the law without also understanding what that law is regulating.” It is my belief that individuals cannot have a productive discussion about mineral rights and the oil and gas industry without having basic knowledge about land rights. With that basic knowledge, the individual can then ask additional questions and/or do additional research on the area they are most interested in. If one does not have the basics, it is difficult to know where to start. I am hoping that Mineral Land Rights will help people find that initial starting point. I am honoured and grateful that the CIRL chose to review my book. The full review can be found in the current issue of Resources at http://cirl.ca/resources/current-issue. Thank you to all who helped with and attended my Book Launch Celebration of Mineral Land Rights – What You Need to Know, on September 15, 2014 in the Martha Cohen Theatre Lobby. 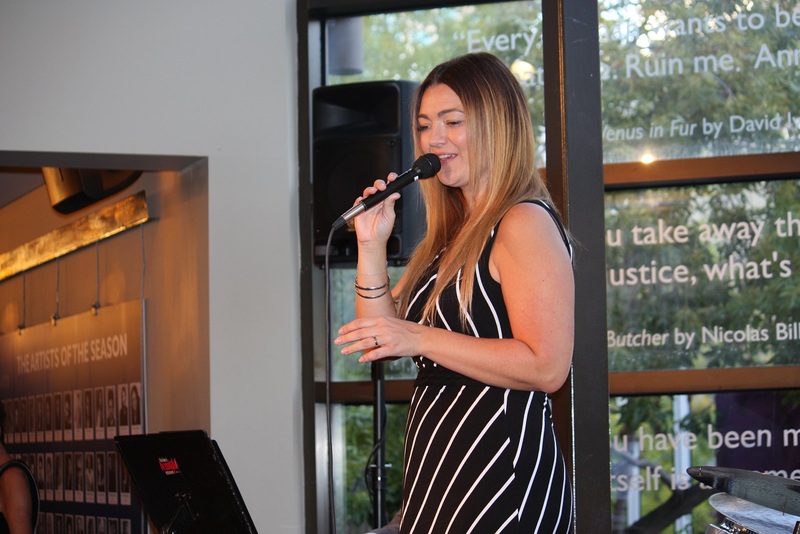 The Deanne Matley Trio provided wonderful background music as my guests enjoyed the food provided by Sorrenti’s Catering. Attendees got a chance to visit with old friends and colleagues and there were opportunities for networking with new connections. It was a a nice mix of friends, family and colleagues and my thanks go to each and every one of them for taking time out of their busy schedules to attend. My publishing agent, Jesse Finkelstein of Page Two Strategies based in Vancouver, attended and commented that this was “one of the most successful and enjoyable launches I’ve ever been to!” That is high praise from a publishing veteran. September was a busy month as the focus was on letting people know that my book, Mineral Land Rights – What You Need to Know was available and how to get their copy. Just as important was to explain what the book was about and how the information in my book might help an individual; whether it was on a specific mineral land issue or to gain knowledge about the oil and gas industry in general. These efforts will continue over the next several months. I invite you to connect with me via email, on Twitter or on Facebook if you have any topics you would like addressed in this blog.. Many mineral landowners will have signed a petroleum and natural gas lease with a company in the past. Other mineral landowners will be relatively new to the oil and gas industry. Mineral landowners often ask: why isn’t the company drilling my land since I’ve signed a lease with them? As I explain in my book, Mineral Land Rights – What You Need to Know, entering into a lease of the mineral rights gives the company the right to drill a well, but not the obligation to do so (unless it is explicitly stated in the lease). In many areas, the company requires the time to connect with all mineral landowners who own a piece of the Drilling Spacing Unit (“DSU”) necessary for the company to apply for a well licence. But even if the company has leases with all the landowners in a particular DSU, they may not want to drill yet. The reason a company might want to tie up more land before drilling is that if the company has success with their well, there may be more competition for the available land within their play. More competition means having to potentially pay more to acquire the land, particularly if the land is being offered for sale at an upcoming Crown land sale. This is particularly important if the prospect extends over many square kilometers. Besides “having more of the pie”, the company that controls the majority of the land in a prospect generally has an advantage when it comes to building infrastructure to service a successful prospect. This of course, assumes that the play is successful; oil and/or gas is found that can be produced at an economic rate. In paying the upfront costs for the mineral leases, the company is betting that they will have success. Another common reason for there being a delay drilling activity is that the company has not been able to secure a surface lease for a well site and access road so that they can physically enter the lands to drill the well. If the company is required to go to a hearing in order to get surface access, that can add many months to the timeline of drilling a well. These and other reasons for delay are explained further in my book, Mineral Land Rights – What You Need to Know. If you have further questions, or wish to offer your own stories, please let me know by email, on Twitter, or on Facebook. Also, please check out this link to find out how you can get a book.